Hi there all, welcome to my little place on the Net, Mrs. Lincoln's Inkin'!! 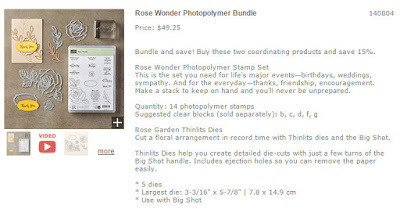 Today's share is using probably my favorite stamp set right now from the Occasion Catalog, Rose Wonder. I haven't been able to put it down lately. 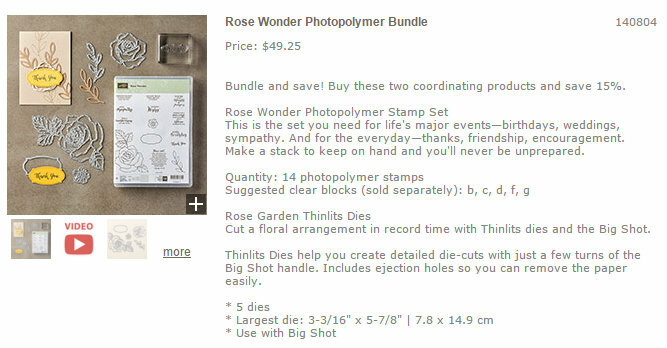 You can purchase the individual stamp set or you can purchase it in a bundle and save 15%. What a deal!!! Today I used the technique Paper Piecing. It is a great way to give an image a ton of dimension!! I used the coordinating framelits and cut the rose out in Basic Black card stock. I then took and cut it out two more times in the Melon Mambo and Watermelon Wonder card stock. The leaf is actually a separate framelit and that is using the Pear Pizzaz and Cucumber Crush. I love all these colors together!